Each company has its own work culture. Working towards adopting the same and integrating it in day-to-day work routine can be a big motivation for employees. Communication is an essential strategy to shape business trajectory and thereby, an integral aspect of an organisation. A good communication at all levels has the potential to powerfully elevate business success and growth to the next level. Communication helps to initiate transparency, promotes mutual understanding, boosts trust& motivation and builds relationships. It creates an empowered workforce that is happier and more committed to the organisation. Today, to be an architect of your own success and happiness, it is imperative for business leaders to well understand and harness the benefits of a free- flowing communication in a business plan. CEO’s should constantly lay techniques/ methodologies to identify more and more employee engagement opportunities to efficiently communicate with employees. Mentioned below are a few such strategies that would certainly help you in this endeavour. Many CEO’s often tend to forget to inform an employee when he/she does a good job. This certainly sabotages employee motivation. Today, to counter such damages, it is crucial that CEO’s and senior leaders must acknowledge issues, concerns and challenges faced by their employees. Asking questions and sharing solutions are easier and convenient if there is a healthy atmosphere at work. As compared to telephonic conversation or chat, face-to-face interaction should be preferred by CEOs to give feedback to the employees. Surveys and employee recognition programs also help to boost morale at the workplace and create a positive work environment.It also makes the employee feel valued and is an indispensable plan for good communication. It is imperative for CEO’s to regularly interact and maintain good rapport with the team. It helps to ensure a friendly, affable communication within the organisation. Timely engagement encourages employees to share their thoughts, beliefs and opinions on varied issues with the management.This strengthens internal communication in the workforce. Today, a simple way to improve employee engagement is to create more and more avenues for discussions and talks. Well-timed meetings and open forums are great platforms to express one’s concerns, opinions and suggestions. At present, social intranet is a powerful tool to enhance workplace communication and foster businesses. It allows employees to comment, like & share meaningful, interesting and work-related posts. Social media is a modern day tool to accomplish company’s objectives. It accelerates connectivity and helps in building effective and efficient ties between people. Communication techniques such as email, telephone, face-to-face interactionand more, serve as a valuable purpose to increase internal communication in office. Such strategies positively aid in building the communication process more streamline. Evaluating and focusing on internal communication leaves less room for any confusion and grey areas. Preparing well in advance before addressing your employees in a meeting helps to convey the right message. Identifying and reaching out to shy personals and displaying genuine interest in them can help break down the communicational barriers. An anonymous approach is sometimes more effective to address issues and concerns which need attention. A “Suggestion Box” is a simple and efficient way to improve communication. Alongside, business leaders can also maintain a “virtual suggestion box”, leveraging employee to list down their thoughts/ concerns in an independent way. Currently, encouraging an open channel of communication where employees feel free to share apprehensions and concerns is beneficial for company’s internal communication. Emphasising on company’s goals and objectives can help employees to bond better and work together to achieve same. Having common goals brings unity and is valuable for an organisation. Hectic work schedules can be demanding and exhausting. Leveraging recharge options to employees such as a lunch out, treat, celebration and morecan powerfully help your employees to resurrect from such schedules. Giving chances to people to reboot themselves also furthers the flow of communication with the leaders and the co-workers.A work retreat is also a fabulous way in helping employees to communicate better with the focus on team building exercises and employee engagement activities. Achievements and accomplishments are also imperative for better communication. 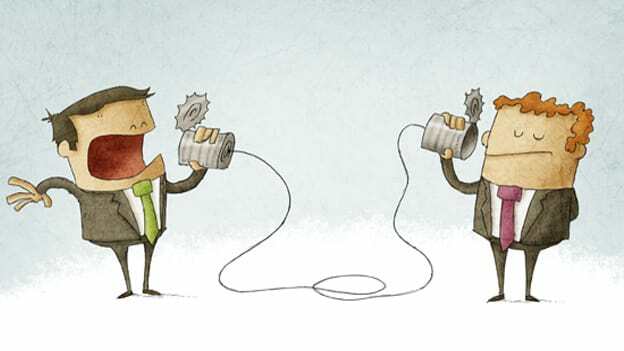 Improved communication brings numerous benefits to the workplace. It is important to take a moment to celebrate what you've achieved after you've put in the hard work. Recognition activities include public recognition and gestures like congratulatory email or thank you notes, rewards, bonuses and others. These also help in encouraging other employees to strive for similar achievements.